If you are what you eat, does that mean food can change the way you think? Based on what Mental Health America (MHA) discover in our screening data, the answer is a resounding yes. According to the National Institute of Health, 1 in 5 Americans has a digestive disease, which can mean anything from needing a specific diet to needing surgery on an organ. Unfortunately, many of these conditions are not preventable, but almost all are treatable and do not ultimately have to limit your life. Sometimes people call the gut, or stomach, a second brain. This is because often when is impacting you emotionally can be felt in your stomach –think about how when you are nervous, people often say they have “butterflies in their stomach” It seems disconnected, but the reality is changes in your stomach - such as the development of irritable bowel syndrome - can profoundly change your mood. Patients who tried psychological therapy, antidepressant drugs, or mindfulness had greater improvement in their digestive symptoms compared with patients who received only conventional medical treatment, according several studies. 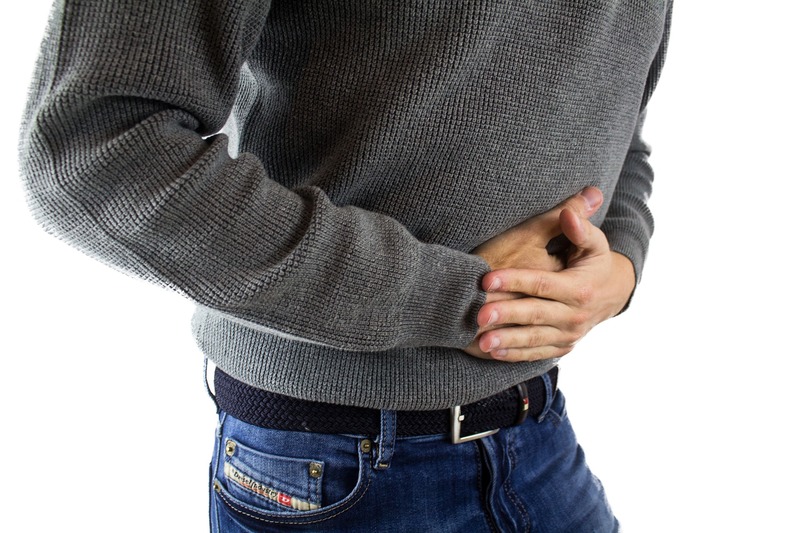 MHA reviewed its screening data from 2015 to 2017, looking at the twelve common digestion problems including diabetes, acid reflux, Crohn’s, ulcers, irritable bowel syndrome, and heart burn to see how this population differed from screeners overall. Nearly half of these screeners have a prior mental health diagnosis, which is far less common in our general screening population. These screeners also scored more positively for a condition, with nearly 3 out of 4 screening at risk, or at least moderate, for conditions on a gradient. For example, people with digestive problems who were taking the parent and youth screens were seeing results just over 3 out of 4 times, which is higher than typically seen. With bipolar screens, half of people with digestive problems screened positive for bipolar, which is much higher than other populations. Digestive problems also appear to increase your chances of screening positive for severe depression, which overall made up just one third of all depression screens. Digestive problems don’t just change the severity of screens, they also change the demographics of who is taking the screens. The population self-identifying with digestion trouble included more males overall, and older than most screeners (who are primarily young women). Males who identified as having digestive problems were nearly one third of all screens, which is more common than screening usually sees. Our screeners also tend to be young, with the majority under 35, while those with digestive problems are noticeably older - almost twice as many people were over 35. People with digestive problems self-identified as being a caregiver and a veteran or activity duty military three times as often as the general screening population. Possibly due to the clear impact on their quality of life, these screeners with stomach issues had different plans after the screen. They were nearly twice as likely to want help from MHA and more likely to want to take a next step with the information provided by the screen. If you are having stomach problems, you should consider looking at your mental health as well to see if that may be a factor. And if you do have a mental health condition that is impacting your digestion, know that you have options. Start by taking a free, anonymous, and secure online screen to see if your mental health may be a factor. Then consider seeing a doctor or other health professional if you have an upset stomach or bathroom problems for more than a couple of days. Remember, what you eat can impact how you feel so be sure to try and eat a balance diet with lots of plant-based food. Laird KT, Tanner-Smith EE, Russell AC, Hollon SD, Walker LS. Short-term and long-term efficacy of psychological therapies for irritable bowel syndrome: a systematic review and meta-analysis. Clinical Gastroenterology and Hepatology. 2016 Jul 1;14(7):937-47. Mikocka-Walus AA, Turnbull DA, Moulding NT, Wilson IG, Andrews JM, Holtmann GJ. Antidepressants and inflammatory bowel disease: a systematic review. Clinical Practice and Epidemiology in Mental Health. 2006 Dec;2(1):24. Jedel S, Hoffman A, Merriman P, Swanson B, Voigt R, Rajan KB, Shaikh M, Li H, Keshavarzian A. A randomized controlled trial of mindfulness-based stress reduction to prevent flare-up in patients with inactive ulcerative colitis. Digestion. 2014;89(2):142-55.